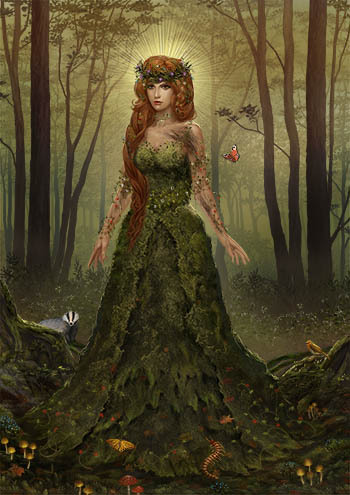 Druids are the most ancient of the forestal classes, devoted to the forests and all they represent. 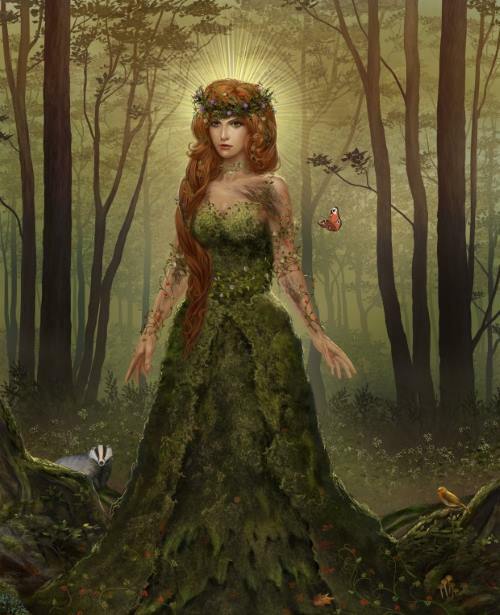 Although their isolationist nature has tended to remove them from the great events of history, the formation of the forest commune of Eleusis in modern times has given these metamorphing grove users power that extends beyond their beloved forests. The skills of a Druid are rooted in forest and beast. Perhaps the most important is the ability to establish a location in the forest as a personal grove, from which the sun's power flows. Within his Grove, none can stand against a Druid; there they reign supreme, backed by the full power of the forest. Swarms of bees will attack enemies, a golem can be made to guard the grove, lightning may be called down, thorny vines commanded to hurt and hinder your enemies, and far more. Outside of the grove, Reclamation allows all of the land to be returned to nature, whilst Metamorphosis places the ranging powers of the squirrel, the grizzly bear, and even the mighty wyvern at the Druid's fingertips. Wyvern The cousin of dragons themselves. Hydra A fearsome creature steeped in mystery. In the beginning there were no cities; those that practice Reclamation shall see it so again. Nature is both beautiful and terrible, and the power that Reclamation grants reflects this. Those that have gained proficiency are able to tap into the remnants of natural life in a location, coaxing them to grow at an astounding rate. Nature shall overtake the location, granting the one great power when standing upon their reclaimed land. Reclaim The greatest oak sprouts from a tiny seed. Relinquish Sometimes one must retreat to advance. Status Know the extent of your control. Forestwalk You are everywhere at once. Lash The vines will scourge their flesh. Sleepspores Send them into slumber. Windwhisper The wind tells many secrets. Knowledge Nothing can be hidden from you. Poisonspores A far less gentle fate. Consume The flesh of the fallen shall nourish nature. Constrict Restrain those that trespass. Regrowth Nature will always recover. Pollen Choke the life from them. Signal Let no transgression go unpunished. Smother Rob the flames of oxygen. Refresh The most benign of spores. Polarity Two is better than one. Subsume All will become one. Trinity Perfect control is yours. Ward Over your dead body. Revive Breathe life back into the fallen. Embrace Return them to the embrace of nature. Wrath The wrath of nature unleashed.